Keyboard surveillance software record or capture children, spouse, employee and friends internet activities. Keyboard tracker system can save all keyboard activities in encrypted log file and can be sent to user specified email address. Invisible Keylogger application is cost effective tool which records online chat conversation, typed URLs, instant messages, username, asterisk (****) character hidden password, typed text document list. Best parental monitoring or employee monitoring utility easily check current user online status when you are away from home or office and can get all activities details on email automatically without sitting on PC personally. 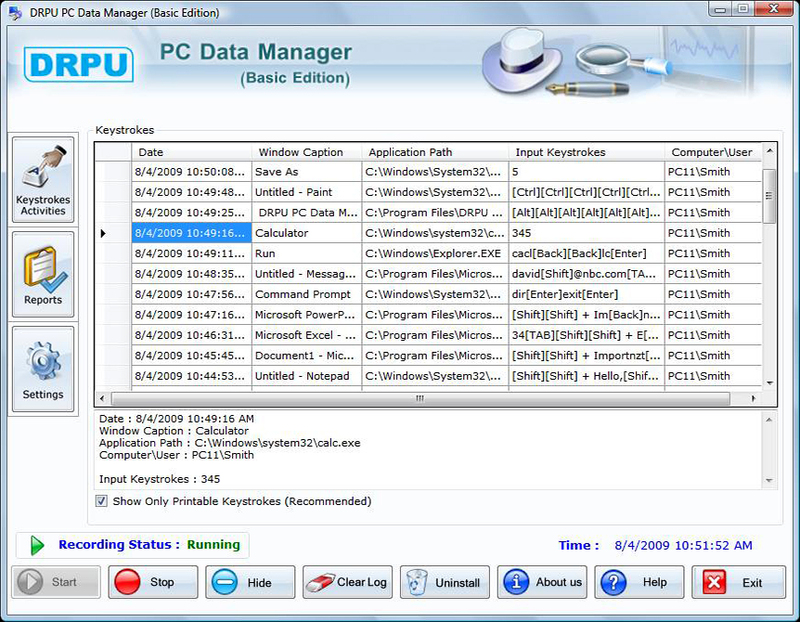 Perfect and easy to use Keylogger software with all unique features is completely invisible in the 'Start menu', 'Add-Remove program list', 'Desktop items' and even hides the destination folder path. Simple, easy to use undetectable application program with self explanatory interface enables you to discover the truth in very less time. Qweas is providing links to Keylogger 5.0.1.5 as a courtesy, and makes no representations regarding Keylogger or any other applications or any information related thereto. Any questions, complaints or claims regarding this application Keylogger 5.0.1.5 must be directed to the appropriate software vendor. You may click the publisher link of Keylogger on the top of this page to get more details about the vendor.